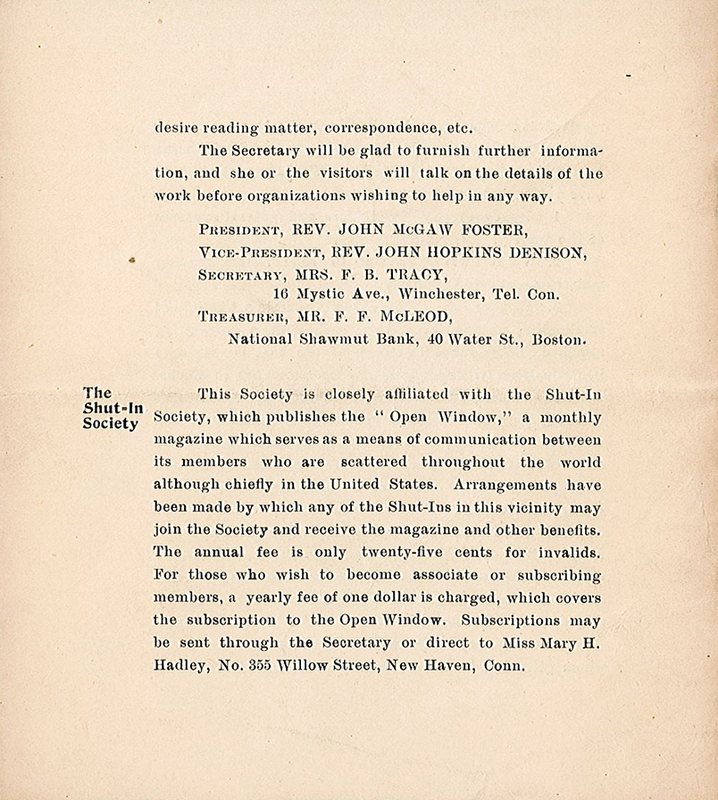 The Society for the Entertainment of Shut-Ins (SESI) was founded in 1901 by the Rev. 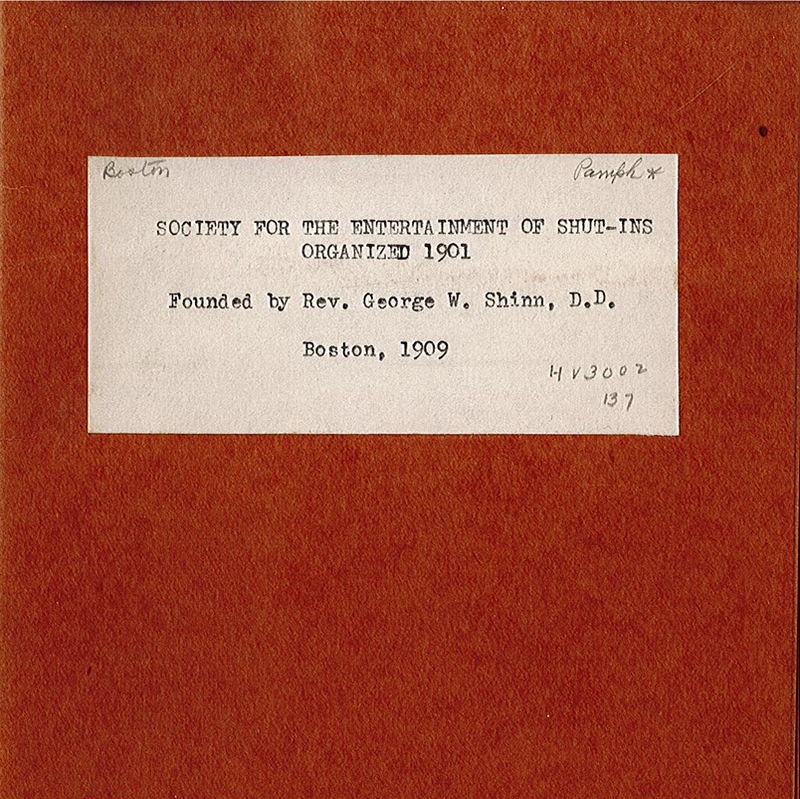 George W. Shinn, D. D. in Boston, Massachusetts. 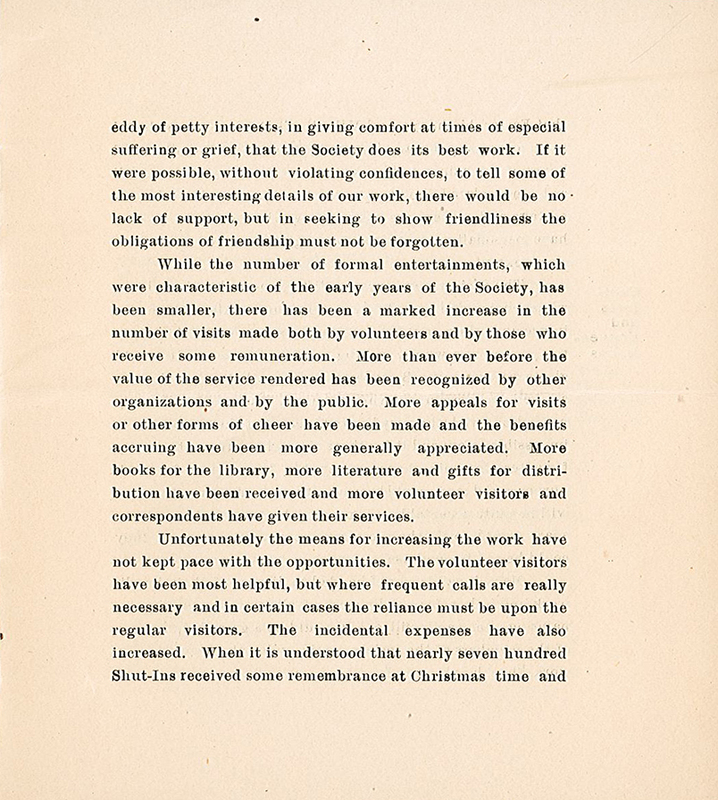 Shinn was the rector of Grace Episcopal Church, Newton, Ma. 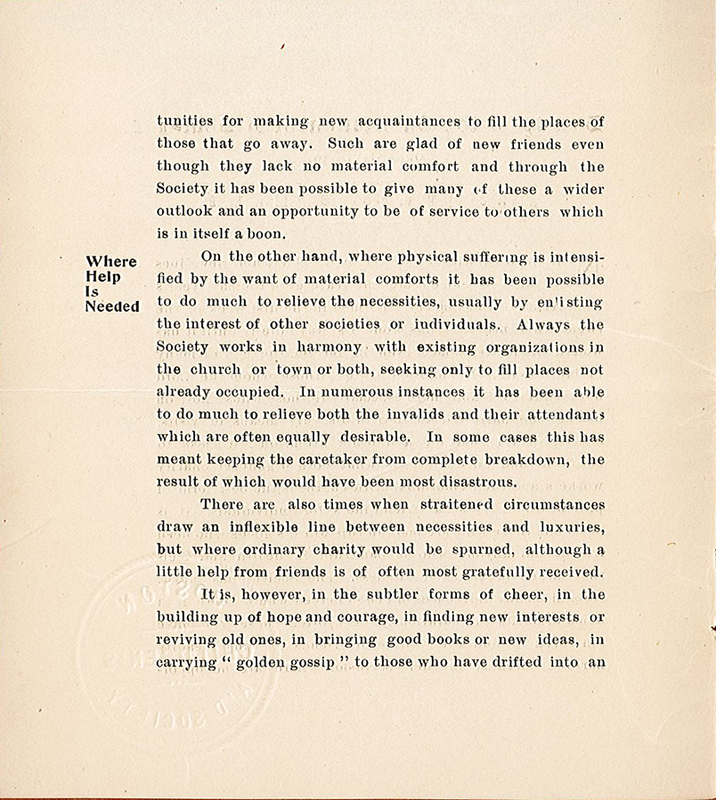 p. 2-3 "It is, however, in the subtler forms of cheer, in the building up of hope and courage, infinding new interests or reviving old ones, in bringing good books or new ideas, in carrying 'golden gossip' to those who have drifted into an eddy of petty interests, in giving comfort at times of especial suffering or grief, that the Society does its best work." 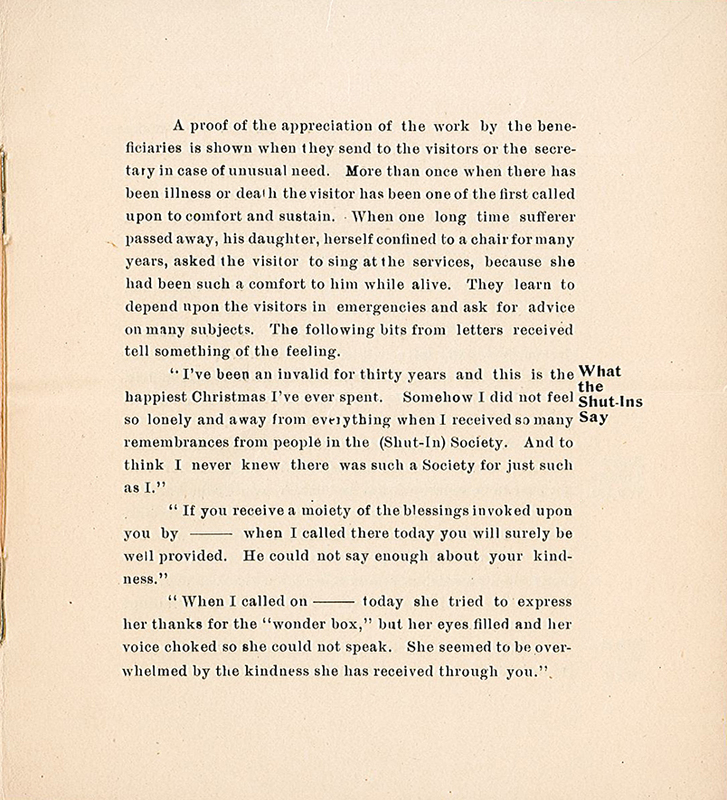 p. 6 "A helpless invalid who lies alone all day in a cheerless tenement because she and the sister who supports her cannot bear to be separated, has had much brightness brought into her sinularly desolate life, and is exceedingly grateful." 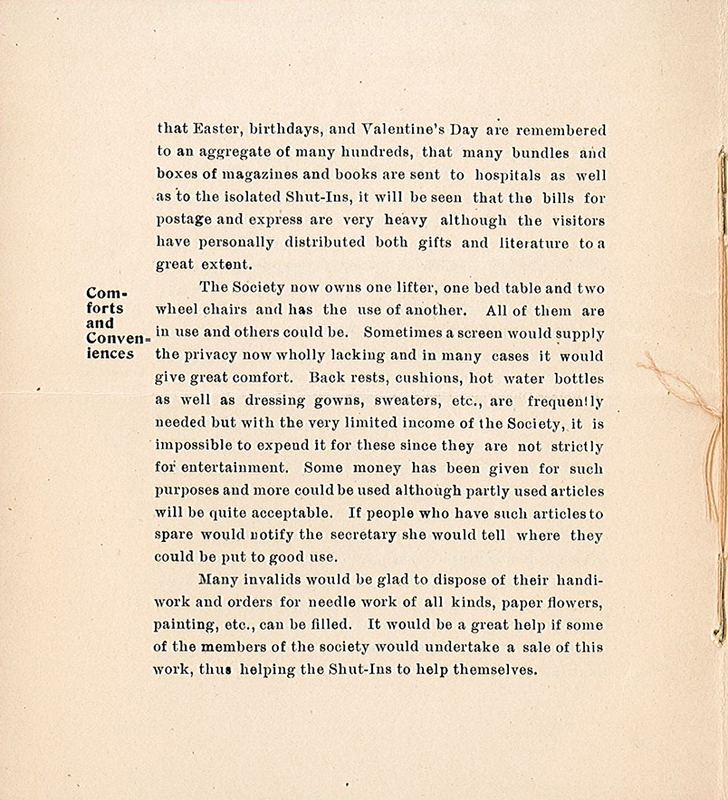 p. 8 "This Society is closely affiliated with the Shut-In Society, which publishes the 'Open Window,' a monthly magazine which serves as a means of communication between its members who are scattered throughout the world although chiefly in the United States." 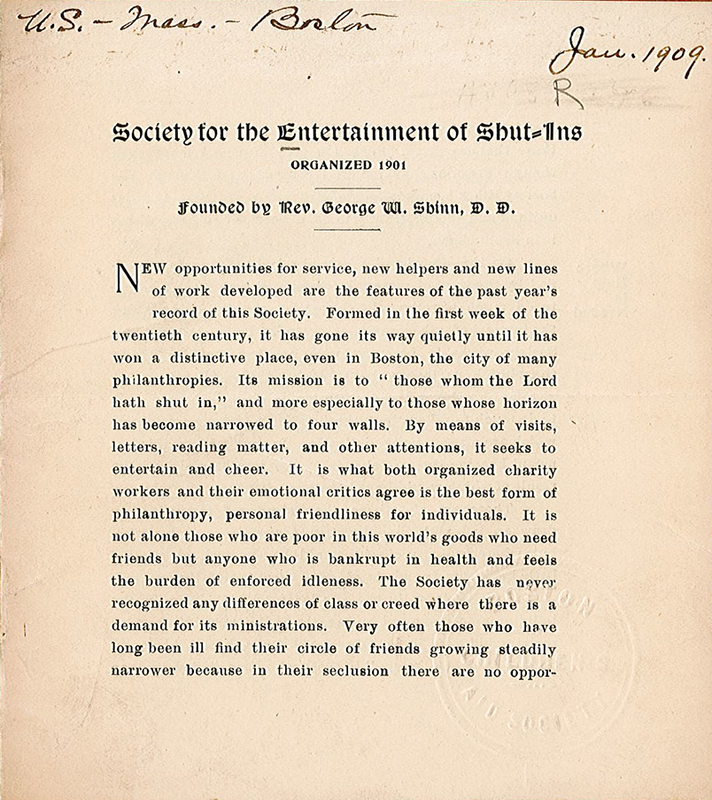 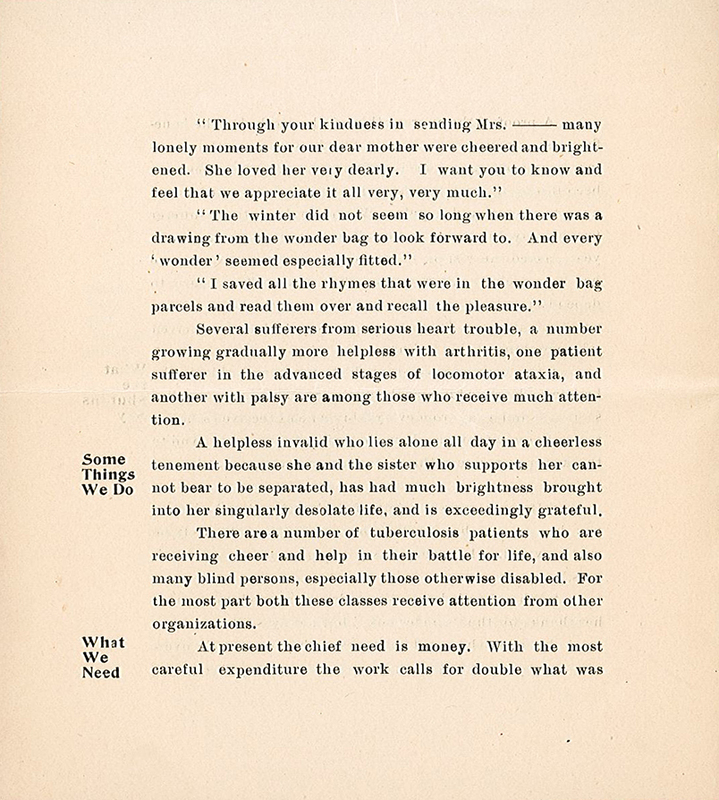 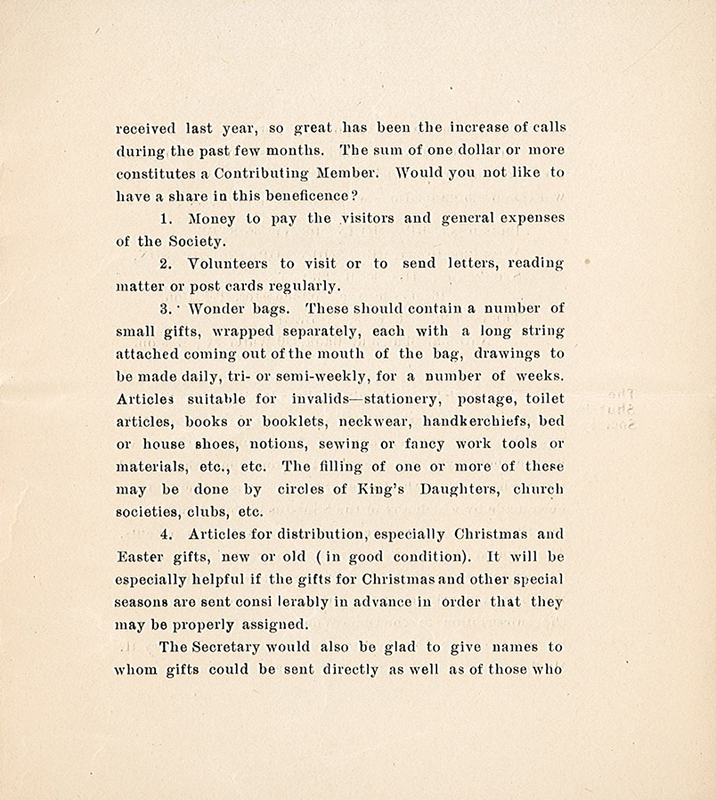 Shinn, George W. , “Society for the Entertainment of Shut-ins, 1909 [annual report],” Social Welfare History Image Portal, accessed April 24, 2019, https://images.socialwelfare.library.vcu.edu/items/show/419.